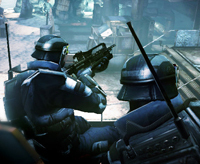 The official Killzone site discloses information on when the public can get in on the Multiplayer action. More inside. For SCEA users, the Open Beta for Killzone: Mercenary will be made available to PlayStation®Plus on August 20th (after the Store update). Those of you who went out of your way to acquire special Beta access vouchers from PS Home will also be granted early access. Then, on August 27th (after the Store update), the Beta will open up further to become available to all North American PS Vita owners, coming to a close on September 3rd. 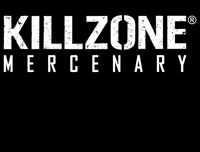 For SCEE users, the Open Beta for Killzone: Mercenary will be made available to PlayStation®Plus subscribers who own a PlayStation Vita from the 21st August. On the 28th August the Beta will open up further to become available to everyone who owns a PS Vita and will end on the 3rd September 2013. Please note that for German users, the Public Open Beta will only be available via PlayStation®Plus from the 21st August through to the 3rd September 2013. So, I am a plus member so I have my PS Home code that I won't use. I'll see how I will give that out to one of our readers closer to the the 20th. Comment below! Looking forward to the beta? I missed the closed one, so I'm ready. Only a few days now!